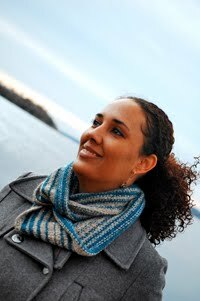 Cambria Washington: knitwear & patterns: Why do I do this? This week has not been fun here in the Washington household. Dante has been as space camp for most of the week and was not here to play with Alex. That left me to try to keep a three year old busy all day while trying to get my school work done for the week. The work load in my math class is seriously ridiculous! I had to read 35-40 pages, work practice problems, do a project, take an assessment and a quiz, and post to two discussion questions totaling 151 math problems for this week. Next week I'll have aprox 179 math problems to work on and another 40 pages to read. This doesn't count my work in my Honor's Psych class, which thankfully only has three projects due for the term but they all are big points. I've also got the regular final project, and an honors final project due for that class. This would be tough to figure into my day all on it's own but now add in the little complication of my going back to work on Monday. There's eight hours out of my day that I won't be able to use for school. I'll be cooking less real meals and I probably won't be able to bake as much of my own bread (which I'm sure my husband won't be heart broken over as he doesn't like it for sandwiches anyway). I've only knit a few rows in the last week, mostly to try to hold off the anxiety attacks I've been dealing with this week. This is just too much to do, but I can't refuse work or I'll lose my unemployment benefits, and I can't drop a class because it will affect my financial aid and push my graduation back. I'm going to have to make the most of every spare moment for the next 10 weeks and hope for the best, but I've already decided that I'm keeping my Tuesday craft night for my sanity. Today I stoped into Bella Yarns and chatted with Naomi (co-owner) for a bit about the great new yarns and things going on there. They got a huge shipment of books, including Barbara Walker treasuries, and more sock books. I bought Nancy Budd's vintage socks finally. I've been eyeing it for a while now and finally broke down and bought it. There's some great socks in there that I've seen showcased really well on Ravelry that don't look like anything special in the book's illustrations. I also bought some Berrocco Comfort Sock for my Vaili socks (August pattern for the knit-along) in white, and bought some J Knits Superwash in a lovely cool spring green and some Skinny Feet Sheep 2 in a lovely variegated blue/green. 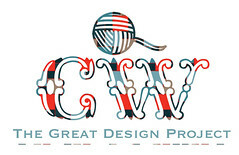 Lots of money later, I should be all set for a little bit with yarn for my next month's knit-along pattern. I'm starting to fade here. It's 10pm, and I want to knit a little bit before I drop. I hope these vitamins the pharmacist recommended will kick in soon and help me bounce back. This vegetarian diet (which I'm finally cool with and rather enjoying now) really wiped me out recently and I need to get back on track again.